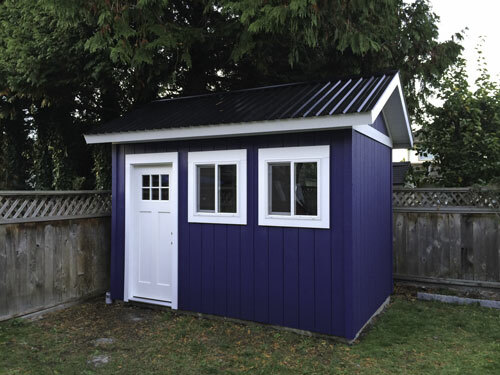 This 8 x 12 shed has lots craftsmen style details to make it the center piece of your backyard. 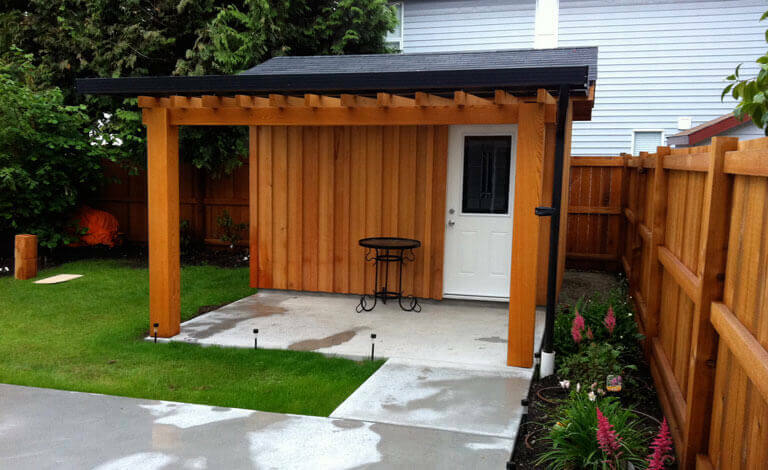 This shed adds class and interest into the landscaping in your backyard. It features two storage lofts, a vancouver craftsman’s door, craftsman’s cased windows, and fascial band boards. 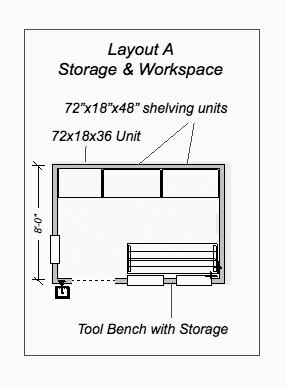 The floor plan of this shed allows for lots of wall storage, two storage lofts , and a work bench. 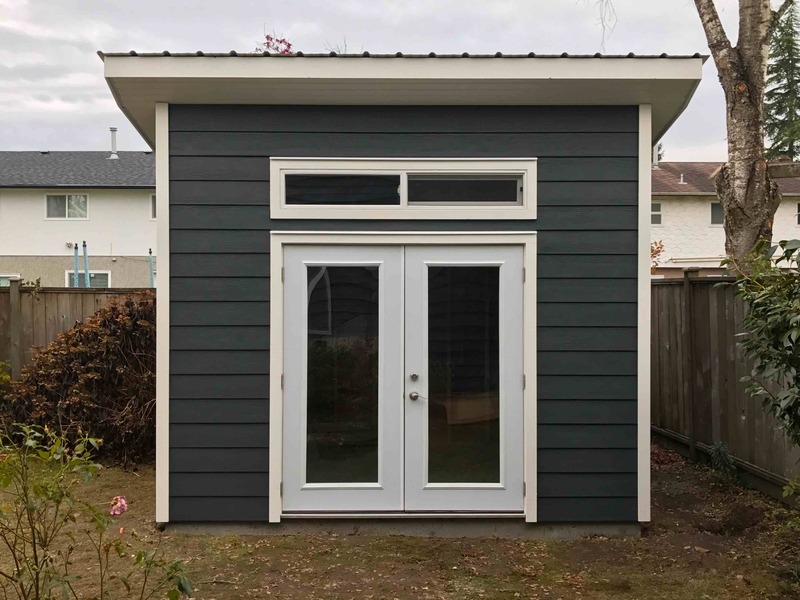 The door, window trim, fascial, walls, and roof colors are of course up to you. 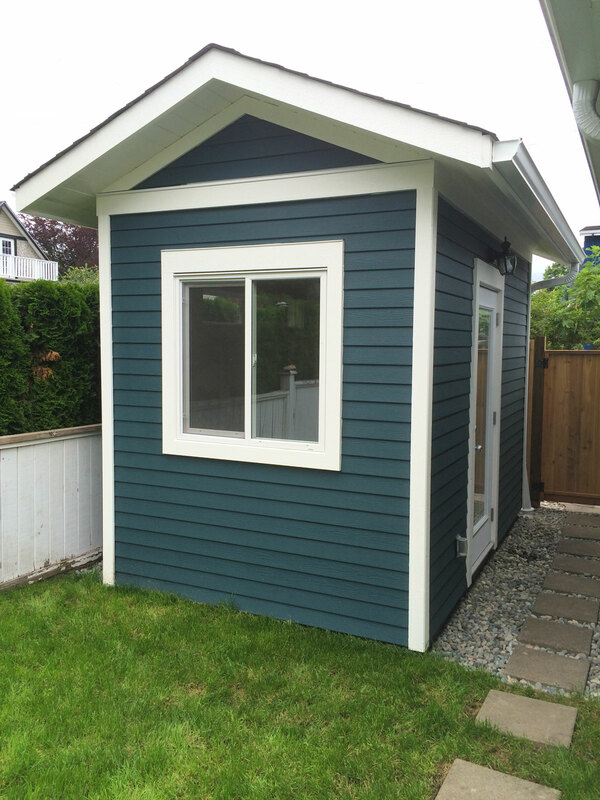 This shed can be built in a variety of sizes to suit your desires and fit in with the available space on your lot. 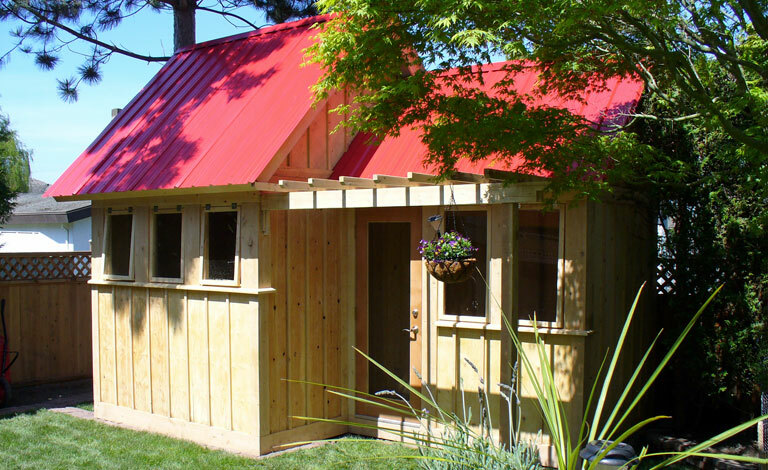 Like all of our sheds, if so desired, the interior can be finished in many different ways. 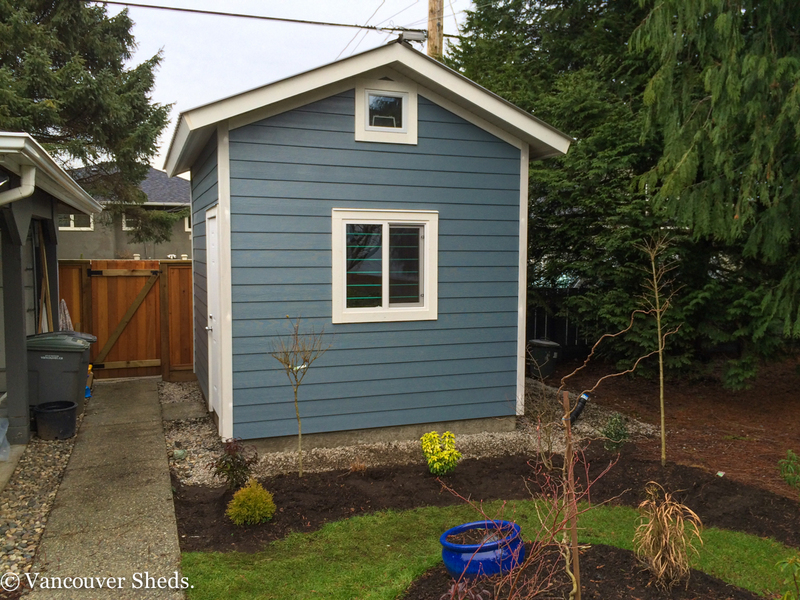 This shed also features a vibrant ocean blue paint, a matt black metal roof and concrete foundation. The walls inside have been cladded with 1/2 plywood to allow the client two install various wall and space organizers. 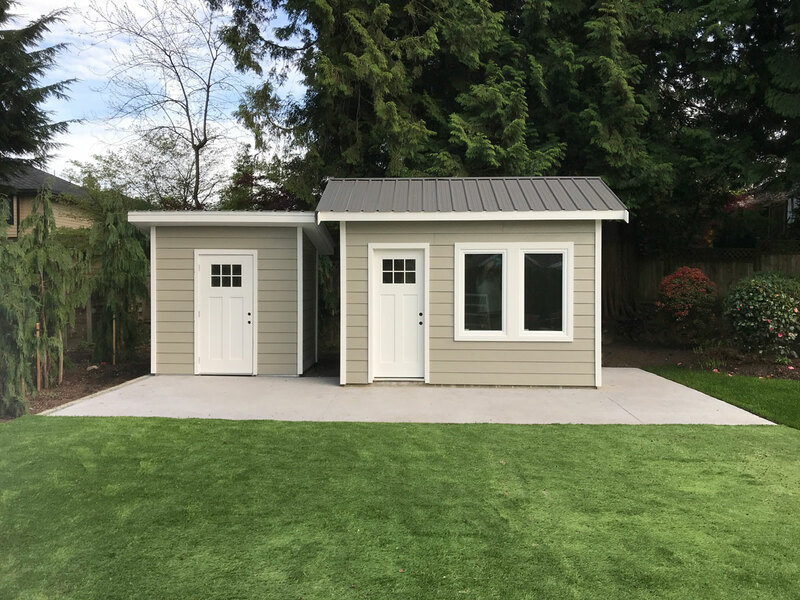 This shed was built to give the client additional storage as their home is located in Richmond and as such they don’t have a basement. 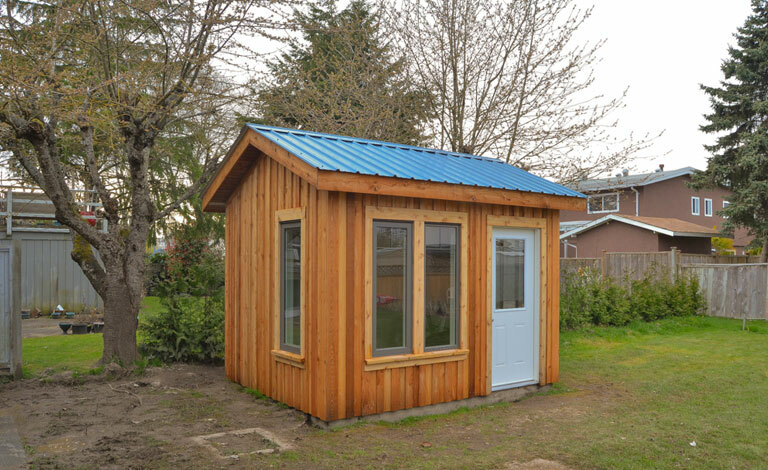 The second purpose of this shed was to provide an area for the clients work bench. The image below shows how the client has the shed arranged currenly.